Tired of making kimchi too spicy by accidentally putting in one too many Thai peppers? Korean hot pepper is here to save the day and make the best authentic kimchi. 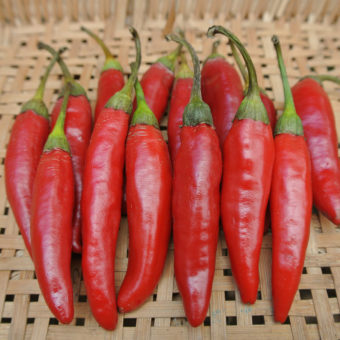 Not as hot, but more pigmented than a Thai pepper. This means you can make your kimchi very red without hurting the people who eat it. Still fairly hot though so be careful. 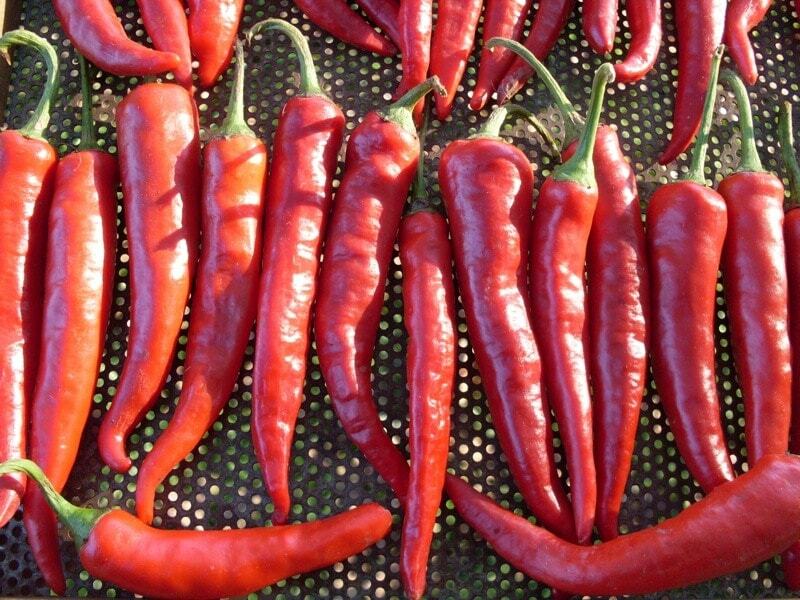 Korean is the smallest, hottest, and easiest to dry of our three Korean type peppers. Peppers of this type are traditionally used to make a spicy Korean gochugaru, the dried, coarsely ground red pepper flakes that are a key ingredient in many types of kimchi and sauces. The real greatness of this pepper is in its earliness to turn red in cool conditions and its enormous yields (No, really: So many peppers you won’t know what to do with all of them.) Dries easily and is great for ristras. 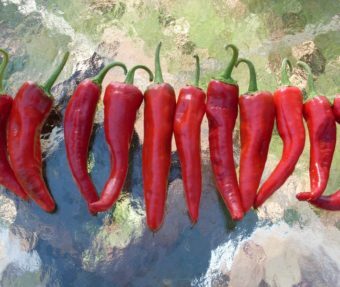 Fruit are similar to a cayenne in shape but a little shorter and wider. 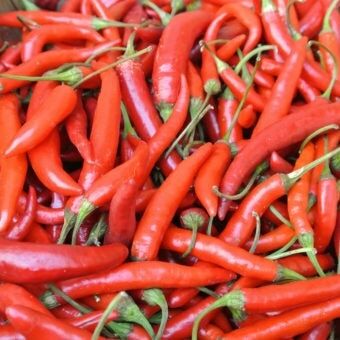 Our most popular hot pepper and with good reason! Sow indoors in flats with good potting soil as early as February, but no later than April. Keep warm and well-watered. Transplant seedlings into 4” pots when they have their first two true leaves. Transplant out into the garden after danger of frost has past, typically late May in western Oregon. To save seed, wait until fruits are fully ripe. Remove seeds from fruit and dry on windowsill. 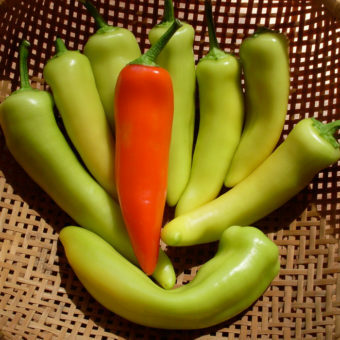 Isolate from other pepper varieties by at least 500 feet.